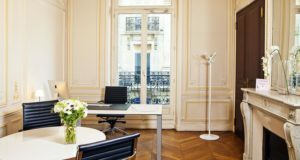 For almost 40 years, Kandbaz has made the most prestigious business addresses in Paris and other French cities available to entrepreneurs: Champs Elysées, Place Vendôme, Saint Lazare, Marseille, Toulouse, Bordeaux, and more! 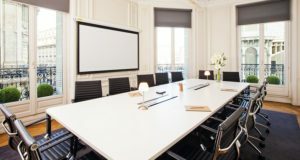 Located in the most scenic and dynamic cities in France, our business centers are fully equipped with the most recent technology and provide all the amenities you may need: a registration and postal address, mail handling, customer relationship management, administrative support, and business development. Reserve your business address online for the best price in just minutes, and we’ll email you your contract right away. 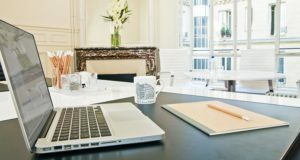 Need a place to work or have a meeting in Paris? Kandbaz offers the best office, conference, and meeting facilities available. Our work spaces can meet all your teams’ needs for a day, a week, a month, or any duration. Select from coworking spaces, bright open floor plans, or private offices, well-equipped conference rooms, and community spaces, all available at lower prices when you establish your Corporate Domicile with Kandbaz. Every interaction with a prospect or a customer is an opportunity to shine. Providing your clients with the best possible service is what drives our telemarketing specialists. Our team can help you increase your upsells and improve your customers’ satisfaction every day. The idea of Kandbaz immediately appealed to me, as a business center and support structure that makes us feel at home. They strike the right balance between a business center and personalized services.